While the Republican Senators’ letter to Iran may be an unprecedented and dangerous breach of foreign policy protocol, Marco Rubio’s follow up act will reassure voters that he still represents Washington’s broken partisan politics. 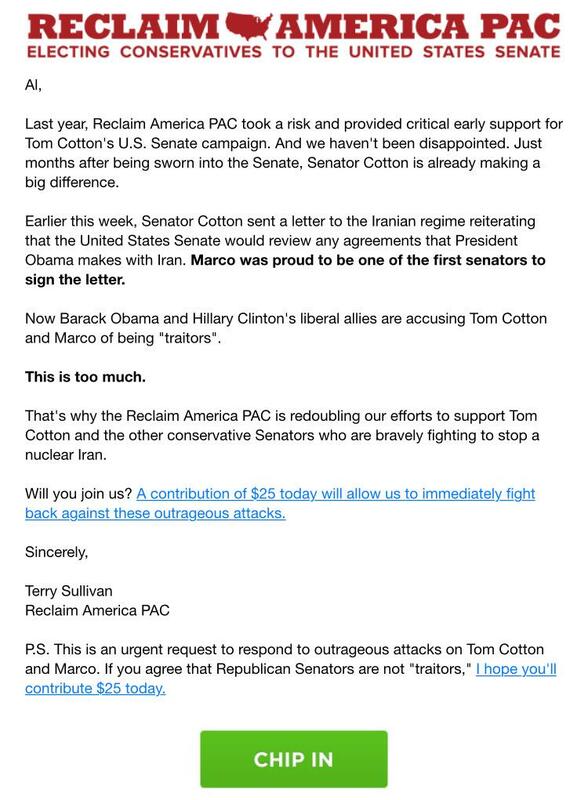 Rubio yesterday doubled down and started fundraising off of the letter. His pitch: I offered counsel to a foreign adversary to lob a partisan attack on the presidency — and, by the way, I would love for you to donate to my campaign to attain that office. It’s mind boggling — even for Florida.